Gloria Ballason, Lawyer and Human rights activists had her radio program ‘House of Justice’ that airs on Liberty Radio, Kadun, – were she uses the instrumentality of the law to drive human rights issues – shut down by state authorities who were uncomfortable with her radio program that allows the law to interface with the public and also seek to ensure accountability for human rights violations by state authorities. 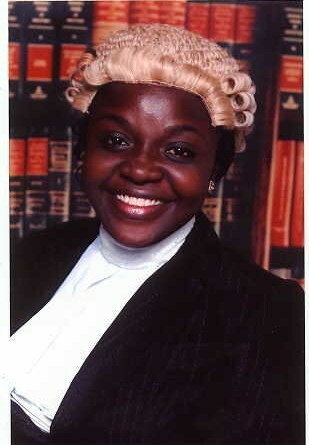 Gloria Ballason is involved in other issues that borders on human rights violations by repressive state agents, including the cases of late Emmanuel Kwasu a Nigerian Defence Academy Cadet Officer who was murdered by deliberate negligence and overzealousness of NDA staff and Reuben Buhari,then Media aide to the former minister for environment who was harrased and detained by the Nigeria Police in March 2014 because he posted pictures of the 2013 Bondong killings in Southern Kaduna which the state authorites allegedly percieve as ‘inciting’. According to Gloria, the thing about wanting to shut down civic spaces in Kaduna state is real. Legal Foundations The rights implicated in this incident are the rights to expression and right to life as granted in the constitution.